Part 3 of a 3 part post. Part 1 praises the spirit of Ashes to Go and begs deeper pastoral questions. Part 2 focuses on the liturgical tradition around Ash Wednesday, exposing some valid reasons why ashes became sublimated and the offering, in turn, somewhat confused. Part 3 offers a deeper pastoral response, grounded in the original tradition around ashes, for our current context and times. There’s a deeper need under the desire for ashes. And the church would do well to spend some time getting there. There’s good and bad news in this. Bad news: it’s hard work. We’re talking about real evangelism which is a work of transformation – of meeting people where they are and helping them come to a new place. It’s more than being present, more than gimmicks on street corners or at train stations. Good news: it’s already in our tradition so we’ve only got to get back to what we unlearned long, long ago. The problem is that the 20th century liturgical renewal resurrected a gross misinterpretation and, I’d say, dangerous theological message about ashes. Historically, ashes were never intended for the vast majority of people; they were a specific and pointed sign. When, in time, not only those who were doing penance but the entire worshiping assembly received ashes the symbol was, by definition, changed. Ashes no longer signified that the bearer had come to terms with her spiritual, indeed, physical death. Ashes were made into something which hinted at new life, a conflation of meanings not to mention a confusion of messages. As I will argue over the course of this essay, this isn’t an innocuous thing. Turning the symbol, ash, from a signifier to something pseudo-sacramental, something hinting at grace, risks two quite dangerous theological implications: first, it transplants the agent of transformation, namely, from God acting through the Body of His Son to our willing admittance of total depravity and the resultant act of smearing ash on our foreheads; and, two, it sublimates the role of those who are members of His Body to model good news and mentor others in being formed by the story of God’s salvation. It’s commonly agreed that by the 11th century the practice of public penance had ended and the entire worshiping community, on the first day of Lent, received ashes. Leonel Mitchell records that “in 1091 a North Italian council ordered everyone to receive ashes ‘on Ash Wednesday,’” and there’s interesting evidence from the writings of an Anglo-Saxon abbot named Aelfric (955 – 1020): “We read in the books both in the Old Law and in the New that the men who repented of their sins bestrewed themselves with ashes and clothed their bodies with sackcloth. Now let us do this little at the beginning of our Lent that we strew ashes upon our heads to signify that we ought to repent of our sins during the Lenten fast.” It’s further notable that Aelfric mentions ashes being strewn on the tops of their heads, no mention of a delicate smudge or nicely shaped cross on the forehead. Probably not disconnected from the Carolingian conquests and subsequent establishment of a Holy Roman Empire, sometime between the 8th and 10th centuries, Christianity took strides greater than even Constantine and Theodosius ever imagined in becoming a religion of the empire and upholder of the status quo. Long before that period between the 8th and 10th centuries, the idea of a forty day fast leading up to the Paschal celebration, a fast which began on a Wednesday so Sundays weren’t included [a process, itself, which took no small amount of time; Gregory Dix argues it was around the later 7th century, Hatchett, the 6th] was not originally intended to be kicked off by what some call a Christian Yom Kippur or day of atonement but, rather, a day in which the final stage of intentional preparation for lifestyle conversion was initiated, and in which public penitents and catechumens were enrolled in the ultimate stage of their preparation. When ashes were no longer restricted to those public penitents and catechumens — and their mentors — and instead distributed to the entire faithful, such a change altered significantly and, I’d say, negatively Christian practices of initiation. It also re-defined evangelism, having made obsolete the role of those members already in the Body who helped bring someone from where they were to where they wanted to be in Christ, much like Barnabas did with Saul/Paul. Noting that the traditions behind the Christian liturgical use of ashes “is not a ‘Roman’ ceremony at all,” Gregory Dix maintains that “[i]t seems to have originated in Gaul in the sixth century, and was at first confined to public penitents doing penance for grave and notorious sins, whom the clergy tried to comfort and encourage by submitting themselves to the same public humiliation.” Ash Wednesday in its most original form had everything to do with a true, heartfelt desire on the part of a sinner to change her life and adopt a new one in Christ and the boldness of those already-initiated into Christ’s Body to go backward, in a sense, and embrace their life’s struggles and sinfulness all over again in order to bring a convert to the other side, to a new life in God, the lover of all. So Dix: “Thus Lent in the form we know does not originate as an historical commemoration of our Lord’s fast in the wilderness or even as a preparation for Holy Week and Easter, but as a private initiative of the devout laity in taking it upon themselves to share the solemn preparation of the catechumens for the sacraments of baptism and confirmation.” When we turned Ash Wednesday from the beginning of a “private initiative of the devout laity” and opportunity for mature Christians to mentor new converts to a public inauguration of the season of Lent, we further diluted the counter-cultural and evangelical emphasis of Christianity, a pattern which has clearly lasted up to recent days, to our loss. In earlier centuries, as it turns out, the Christian church was perfectly comfortable using the symbol, ash, to signify death because they knew that the bearer was seeking conversion via sacramental preparation, namely, baptism, and that she was going to be properly mentored, indeed, loved into a new life in Christ. When, post-Charlemagne, ashes were distributed to everyone it reveals that the church had already forgotten that it is, itself, a distinct and counter-cultural society, a kingdom unlike the empires of this world, and we see no longer any real traces of a process of initiation nor of mentoring. That’s good enough reason, to me, for Cranmer et al to end the practice of imposing ashes. And yet it came back, as it was perhaps prone to do. When in the 19th and 20th centuries ashes returned in what Hatchett called “unauthorized forms” not only was the act so utterly disconnected from any real practice of Christian initiation or mentoring – Christendom was still in full swing – but the ashes, then, were altered to carry along with them some hint of grace or good news, as is evidenced in Howard Galley’s revision of Sarum’s ash blessing prayer, a prayer which offers some measurable notes of grace in BCP 1979. Ash was never meant to be the conveyer of grace, nor for that matter is it even logical that it could bear that meaning. Ash was meant to point to baptism, the smudge of death which would be washed by the water of new life. And baptism, a new life in Christ, was meant to be the moment of grace, the only and ultimate moment. Ashes do not nor have they ever, from their earliest introduction into Christian liturgical use, conveyed an “inward and spiritual grace.” That requires a worshiping community, not to mention the actual sacraments of new life or at least serious preparation for them. What the early church knew and practiced was that ashes signified that someone already recognized and had come to terms with their wretchedness and hoped to attain conversion of life. Ashes, in themselves, did not and could not inspire that process. The early medieval reforms undid this recognition and we, in these latter centuries, simply resurrected that misinterpretation. As I suggested earlier, this isn’t an innocuous thing. Attempting to turn the symbol, ash, from a signifier to something pseudo-sacramental, something hinting at grace, risks two quite dangerous theological implications: first, it transplants the agent of transformation, namely, from God acting through the Body of His Son to our willing admittance of total depravity and the resultant act of smearing ash on our foreheads; and, two, it sublimates the role of those members of His Body to model good news and mentor others in being formed by the story of God’s salvation. This, then, is a much deeper issue. This should frame our response to a more real set of pastoral needs, needs which require serious digging, not only into our tradition but also into the life issues and desires of those who might wish to set aside the values of an increasingly secularized world and ponder what life in Christ might look and feel and be like. This world yearns for the Good News of Jesus and, thus, the presence of those of us who are members of His Body. I suppose we’re trying to offer that, to some degree, via Ashes to Go. But it’s gimmicky and confusing and misses the point, due mostly to our own theological ignorance. We need to be talking about something deeper. As I said in my first post in this series I’m encountering lots of young(ish) adults who wonder about rootedness and life’s meaning. Many are seeking and most are genuinely interested in the Christian way of life, and yet their primary draw is not liturgical and they’re not really looking for symbols or sacraments. They want to know about Jesus and about how a Christian lifestyle is better, more life giving than other alternatives. They’re looking for a church to preach and live a message of real transformation, which looks like an identity change (baptism), and which gets practiced through participation in the Body of Christ (community & Communion). They are not necessarily looking for a confused, distorted symbol that, at least in recent centuries, has had more to do with maintaining Christendom than with pointing towards that which is, in our story, actual new life. The more hefty question, then, is what’s on the other side of Ashes to Go? Perhaps a renewed approach to the Christian initiation of adults, a 21st century revision of what the early church the ‘catechumenate’. Perhaps it’s an opportunity to begin to practice the harder work of evangelism, which is more than going outside our doors and being present. Perhaps it’s time to re-learn the ancient practices of the how the early Christian communities welcomed newcomers and helped form them into the story of Jesus, the crucified yet risen Lord, practices which bind someone to a, yes, counter-cultural but entirely life-giving way of life in Christ. We don’t need a liturgy for this work, nor for that matter do we need the distraction of strange costumes and unclear customs on street corners. Instead, we need nothing more than authentic presence, modeling what life looks like as little Christs. Part 2 of a 3 part post. Part 1 praises the spirit of Ashes to Go and begs deeper pastoral questions. Part 2 focuses on the liturgical tradition around Ash Wednesday, exposing some valid reasons why ashes became sublimated and the offering, in turn, somewhat confused. Part 3 offers a deeper pastoral response, grounded in the original tradition around ashes, for our current context and times. For me, it started with a really basic question: Why ashes? As it turns out, this question has nagged Christian communities nearly since ashes were introduced as a liturgical symbol or act. Ashes had to do with initiation and life’s conversion, and yet they quickly became something else, something, I’d say, less. What I’d like to see is a return, not so much to the original use of ashes, but rather to the spirit of a church which knew how to practice Christian initiation of adults and, for those already a part of the body, how to mentor and model a life of genuine faith and embrace that which is truly counter-cultural in an world of competing empirical interests – be it the first several centuries or, in fact, this 21st one. Our pastoral response to increasingly secularized people should not be a continuation, indeed, reification of a centuries-long mishandling of this day. Our response should be a renewal of the earliest spirit surrounding Ash Wednesday, revisiting the ways in which early Christians practiced initiation and helped form women and men in the story of God’s salvation. Ash Wednesday is not supposed to be an invitation to the already-initiated, although that’s what it’s become. Ash Wednesday should be about lifestyle change, about conversion – baptism, at its core. That’s why, more than likely, I’ll be connected to a worshiping community (note I didn’t say “within the four walls of a church”) on future Ash Wednesdays to come. Truly, why ashes? I promise this is no ‘slippery slope’ argument, but consider this: Would it be right to venture forth with the pre-consecrated Host and offer folks at a subway terminal Christ’s Body and Blood? Or would it be fitting to stand at a street corner with a bowl of water and offer baptism? By and large, someone’s answer to a hypothetical question about Wafers to Go, say, is more quickly arrived at than their answer to whether or not ashes can be imposed inside or outside the context of a worshiping assembly. Thus, the first point I’d like to offer is that there’s a very clear, very basic distinction between sacraments and ashes, and that’s something the church should bear in mind, not to mention take quite seriously. Eucharist and Baptism, of course, are sacraments. Ash Wednesday has a pseudo-sacramental quality about it. Eucharist and Baptism share deeper layers of meaning as well as participate much more clearly in the story of God’s salvation. Ashes were a later addition and not an entirely clear innovation, even at the time. A body which is broken but gives new life is not only a profound spiritual concept but is also inherently woven to other levels of meaning of the Body of Christ. Water points to Jewish purification rituals and Jesus’ action in the Jordan, not to mention the process the people of The Way developed for initiation and faith development, a process which was counter-cultural in its larger empirical setting. Ashes, on the surface, suggest something compelling, but the connections are feeble, the nuances too great, and the revisions and human tinkering simply too obvious. At least by the 16th and 17th centuries, then, the meaning of ashes – note, in 1549, it’s labeled “the first day of Lent, commonly called Ash Wednesday” – was already disconnected as a symbol denoting interior change. In fact, retaining the act of imposing ashes, an individual act, detracted from the larger goal of developing a properly-organized, truly Christian kingdom. Thus the ashes were sublimated, being too disconnected, too ‘superstitious’. 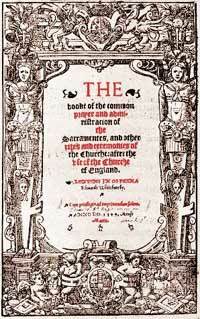 By the time the Prayer Book distilled what its framers would’ve called the best of the tradition, the day commonly called Ash Wednesday had mostly to do with Christian kingdom-building: made clear in the introduction to the Commination in the 1662 version, “…in the Primitive Church there was a godly discipline, that, at the beginning of Lent, such persons stood convicted of notorious sins were put to open penance, and punished in this world …; and that others, admonished by their example, might be the more afraid to offend.” Ashes had become, over time, a communal practice. And in the English reformation it was judged not necessarily an efficacious one, and thus removed. But it was, nevertheless, called Ash Wednesday so in many local contexts ashes were used. For the first time in an American Prayer Book, the BCP 1979 provides a proper liturgy for the imposition of ashes, albeit as an option. Hatchett affirms that “many felt the need of a special service for Ash Wednesday. Unauthorized forms, which frequently included the use of ashes, had come into use and seemed to meet a real pastoral need.” The imposition of ashes was brought back, and perhaps it never really went away, at least in local contexts. The church simply responded to people’s needs, not dissimilar to the claims made by those who are distributing ashes to go. But what practices, then, were brought back? The original intent or the misinterpretation? And what were the people saying, in truth, when they said they wanted, they needed ashes? And was it a need worth meeting, or rather one worth getting underneath, one worth transforming? I would argue the latter, that what we’re offering is not the original use nor is it the most fitting understanding of ashes. Rather, there’s a deeper need under the desire for ashes. 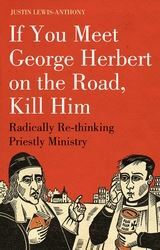 The church would do well to spend some time getting back there, which would involve work of transformation, not merely service. Part 1 of a 3 part post. Part 1 praises the spirit of Ashes to Go and begs deeper pastoral questions. Part 2 focuses on the liturgical tradition around Ash Wednesday, exposing some valid reasons why ashes became sublimated and the offering, in turn, somewhat confused. Part 3 offers a deeper pastoral response, grounded in the original tradition around ashes, for our current context and times. Ashes to Go is imaginative and crafty, an inspired pastoral response to a real need. Also it shows the pluckiness of several young priests who, I imagine, grew tired hearing a church talk and talk, to no end. So they said, “Let’s do it.” And they didn’t wait for official sanction or more thorough thinking-through, which I’m sure is no small reason for its attraction. It’s ironic that the Episcopal Church’s awareness that, on one level, evangelical churches grow and, two, we weren’t so wise to simply adopt uncritically the term – to spur on a decade of evangelizing, for instance – has turned out to be a fairly dysfunctional relationship with “the ‘E’ word”, as I heard it called in another diocese. We don’t want to let it go, lest we seem completely clueless. So we mention evangelism, but with a critical distance. We want to be close to the idea, just not the baggage. I’ll bet the majority of times evangelism is used in the Episcopal Church it’s something of a straw man by which our approach is, at least, more nuanced or it’s slipped into conversations after the fact, and not without some uncomfortable recognition. We’re a lot better at doing the business of the church and then calling it evangelism. We’re not so good at setting out, firstly, to spread the good news. That’s why Ashes to Go is refreshing. It’s an excuse to spend a day offering a public, Christian presence. It’s really and truly inspired, and motivated primarily by a definitively Gospel-based reason. Thinking about Ashes to Go, in fact, has helped me identify another, equally strong need that’s emerging, at least in my context. Lately, I’ve been meeting lots of young adults in my community, some of whom are connected, many barely so, to the congregation I serve; others are friends of friends; others have just moved in. This is a prosperous and quickly developing area in our state, and yet its lifeblood is defense spending (which may be about to change significantly) and rootedness and life’s meaning are top questions among people entering their 30s and 40s. Many are seeking and most are genuinely interested in the Christian way of life; case in point, most of the baptisms we’ve done in the last year have been adults or older children whose parents are coming back to church, for the first time in a long time. Their primary draw is not liturgical and they’re not really looking for symbols or sacraments. They want to know about Jesus and about how a Christian lifestyle is better, more life giving than other alternatives. I applaud the inventiveness of Ashes to Go, but I wonder what’s being offered when and if those persons whom we meet decide, in time, to enter our congregations and take us up on the offer to help deepen their lives. I haven’t bundled up with cassock and ashes to meet the masses, thus far, because the ashes aren’t the sign I’m hoping to extend. In fact, the original significance of burned palms ground into dust has much more to say to my pastoral context than what became of them in the tradition, a distortion which has continued throughout much of our history and is culminated in today’s, frankly, confused offering. Maybe we, the church, could stand to revisit the spirit of those which devised the tradition of imposing ashes, and not just offer them to go but present the Christian life as one in which to stay.